Please call our India Call Center at 7832-8466. 2019 is our 13th year! January 2019: Judith Shorrocks buys a Club membership from Kathry Rose, who has moved to Washington D.C. and has donated the proceeds of the sale to the Club for a "Liquid Dividend" in the shape of some bottles of wine at one of the next dinners. Thank you, Kathy. Membership price holds at the record Q350 of the past five resales. April 2018: Hermann Girón joins the Curry Club from Guatemala City. January 2017: John Mann joins the Club from Ciudad Vieja. His Q350 membership goes to finance prizes at the "Pot Luck Dinner" ... bottles of wine for winners and judges. Thank you, Mary Ann Anderson for selling your membership! September 2017: The Antigua Curry Club New York was great, see photos. September 2016: Bruce Eldine Morton joins Curry Club. Welcome! Thank you Linda Peterson for donating your membership, half to charity and half as a Liquid Dividend! June 2016: The Antigua Curry Club London was good fun. See photos. 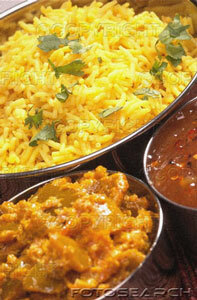 Jan 2013: New branch of The Curry Club opens on Long Island, NY! 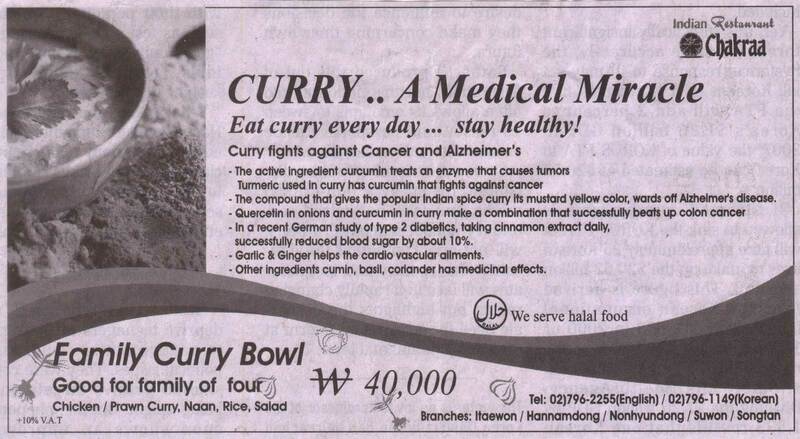 CURRY ... A Medical Miracle points out that curry fights against Cancer, Alzheimer's, as well as diabetes. Please click for details. And so, eat curry every day ... stay healthy! 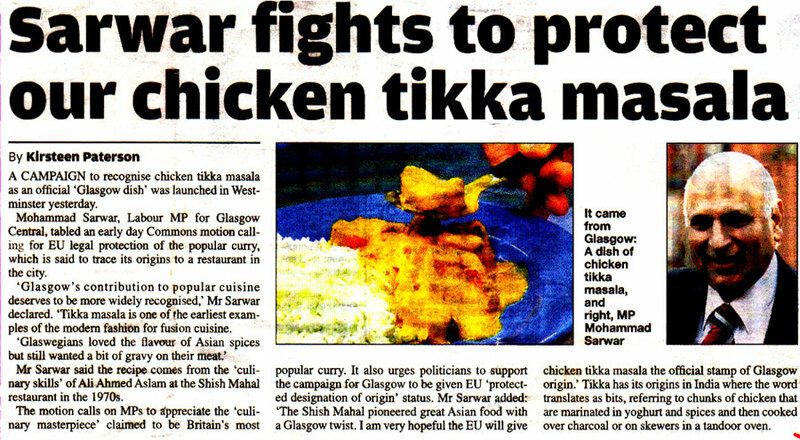 ... from our Scottish research office, headed by Ken Veronda, comes the important news about Chicken Tikka Masala ... it's really a Scottish dish, invented in Glasgow! If you spot important Curry News, please share it with the Club! ... May 23, Curry club bus trip to "Everest"
... July 25, TBD, a bus trip to "Little India"
... Sep 20-27 ... 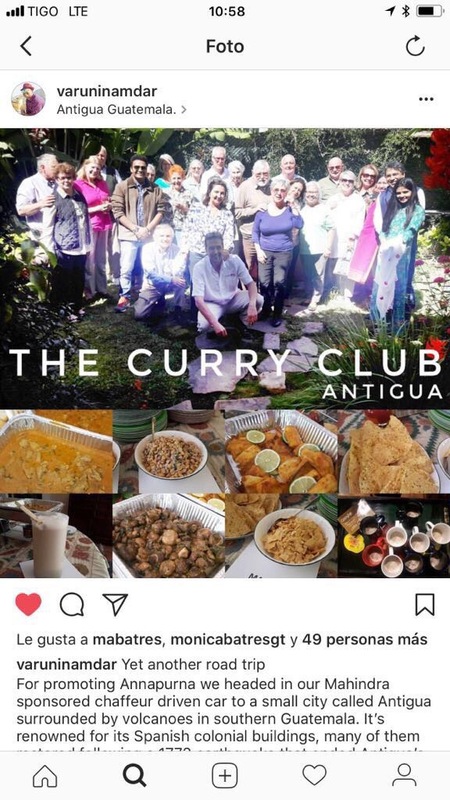 The Antigua Curry Club London 2! Please let us know if you want to join. 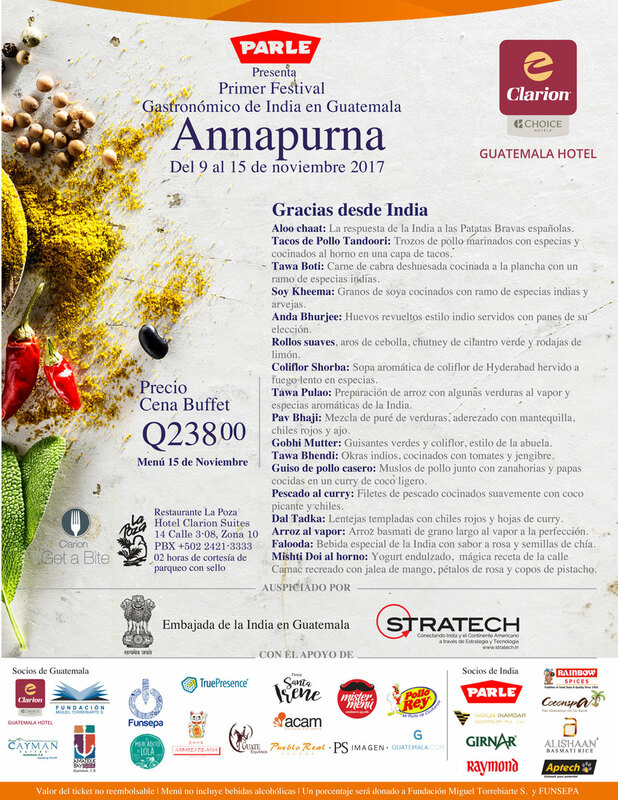 ... Nov 14-15 ... 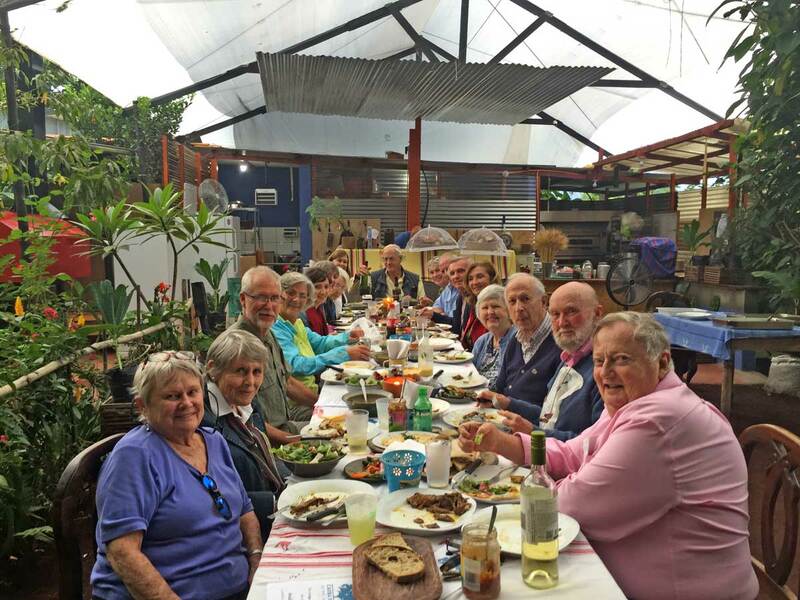 The Antigua Curry Club XELA. Please sign up if you want to join us. You can still join this prestigious club by buying a membership from an existing Member. The Club can usually find a Membership available for resale. If you would like to sell yours for a profit, please call our India Call Center at 7832-8466. Market Latest Bid Q?? ?/Offer Q350. 31 of the original 50 memberships have been re-sold since we started, ten of them twice, two of them three times! Membership benefits include eating curry, learning more about Indian food and a seat at Curry Club meetings and the right to bring a guest. 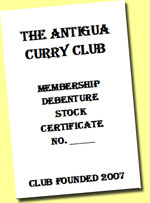 A free benefit: big social status attached to being a Member of the Antigua Curry Club. Only important Antigua people belong and only important Antigua people can buy memberships. Q & A: How does it work? It is very simple. 1. You buy a Membership if the Club approves the resale. 2. The Membership card works like a Car title ... the original member signs the membership over to you. 3. You come to a Club meeting. 4. You eat curry, enjoy a chat with fellow Club members and your dinner, pay your bill and plan for another session. *Warning: Value of investments may go up or down. 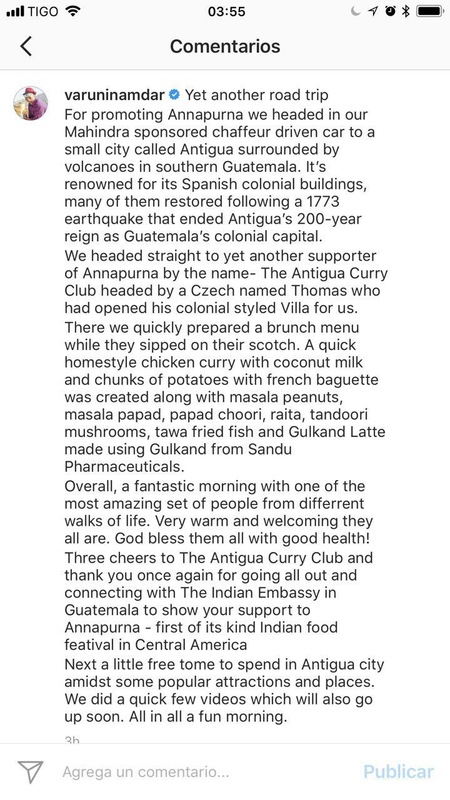 The Antigua Curry Club is not responsible for financial losses sustained by curry eaters. The Curry Club Debentures market is regulated by the Securities and Exchange Curry Commission (SECC). Complete Club Rules and Regulations are still not available, but we keep making them up as we go. ... Nov 29, bus trip to Ricardo and Meriko's for drinks and the new "Tikka Masala" in Ciudad Cayala. See menu. ... November 14, bus trip to Lorraine's for drinks and Indian Food Festival at Clarion Suites. 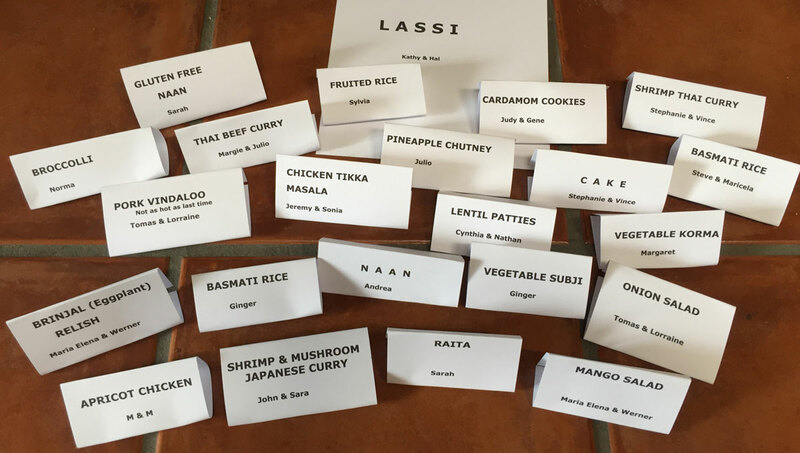 ... Nov 5, Indian Food Festival, with chef Maroj in my house, 35 people for dinner. ... Oct 25, bus trip, drinks at Margie & Julio's, then "Tres Elefantes" See menu. 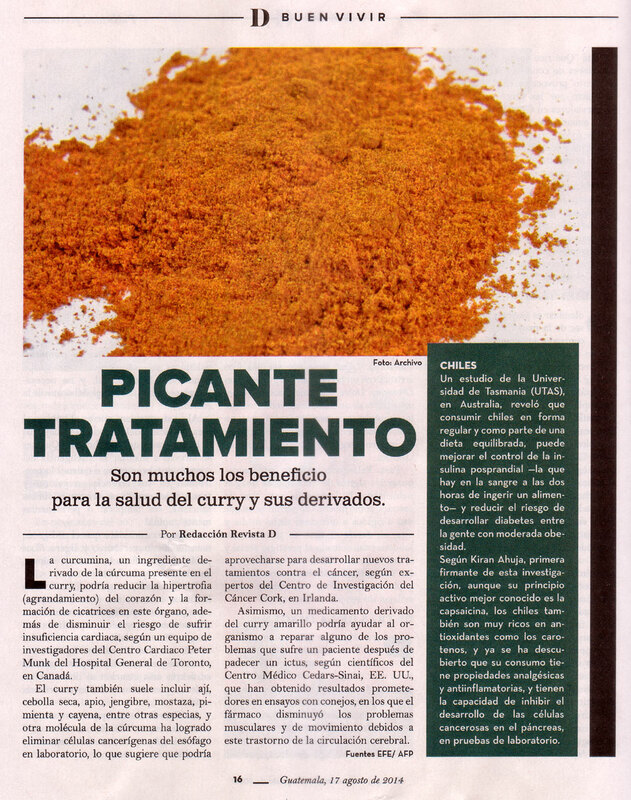 ... May 24, "Little India, El Sabor de la India", a new restaurant, Los Proceres. ... Apr 26, Caoba Farms, with Felix. A "Liquid Dividend", courtesy of Klaus Niemann, who sold his Club membersbhip to Hermann Girón. See menu. ... Jan 25 ... Indian Pot Luck dinner at the house of Tomas & Lorraine. See menu here. ... Nov 14 ... 11 a.m. Indian kebabs lunch at my house with Indian chef, "Food Stylist", Varun Inamdar. FREE. 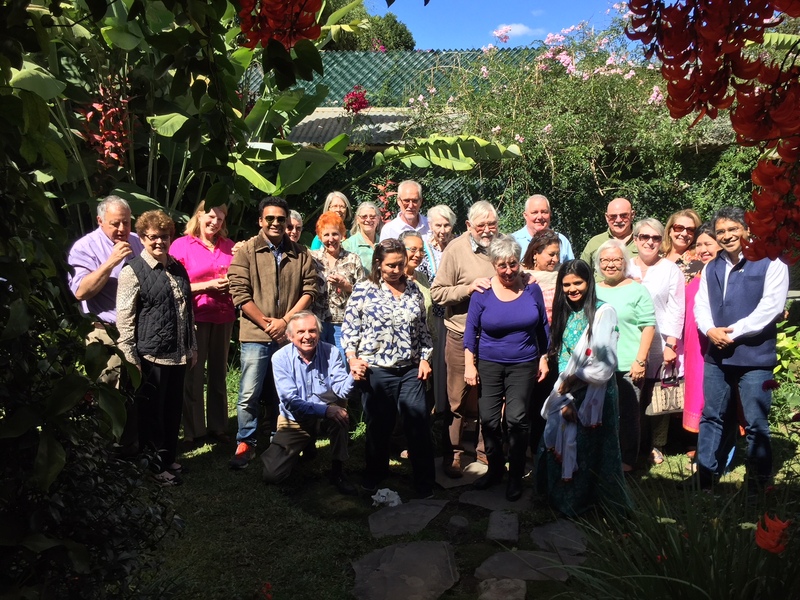 See photos of the event and Varun's impressions of Antigua. ... Nov 15 ... bus trip. Drinks at Julio & Margie Giron's house. 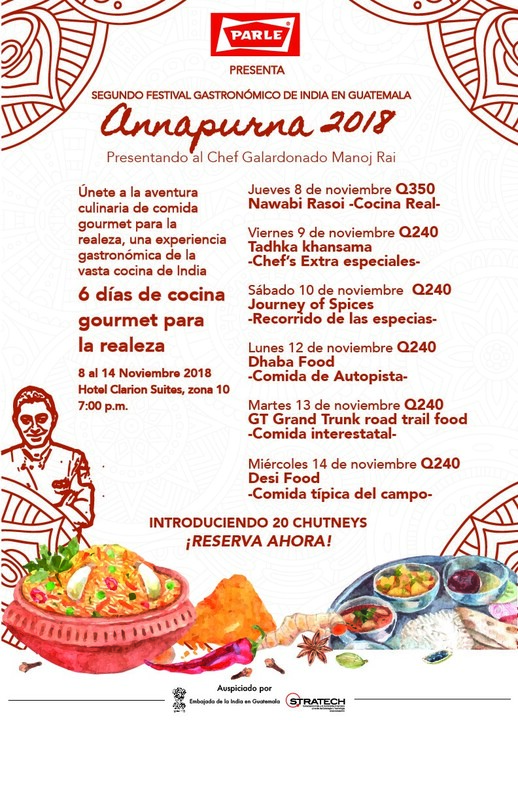 Dinner at Clarion Suites, final night of famed chef Varun Inamdar' exhibition tour of Guatemala. See menu. He's cooked for Obama, Sarkozy, Putin, Queen Rania of Jordan and now for us. 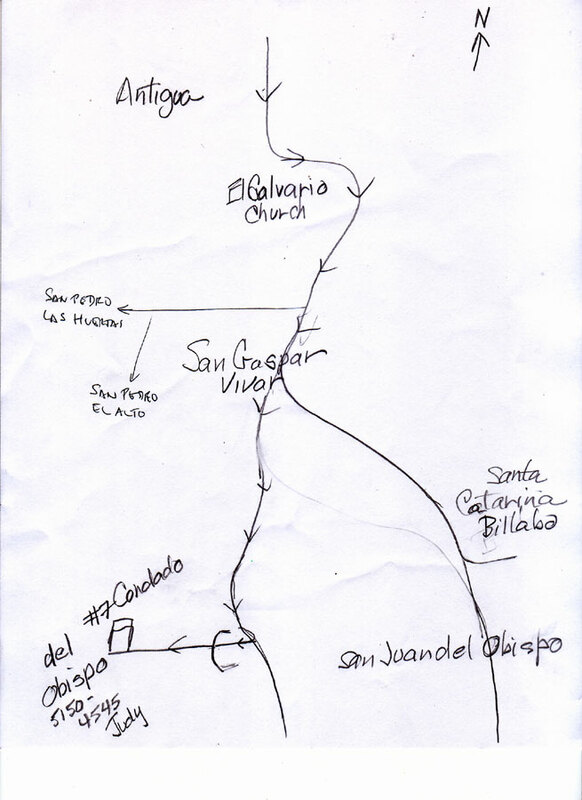 ... June 22, bus trip to the city. Plaza Fontabella and "Tres Elefantes" See menu. 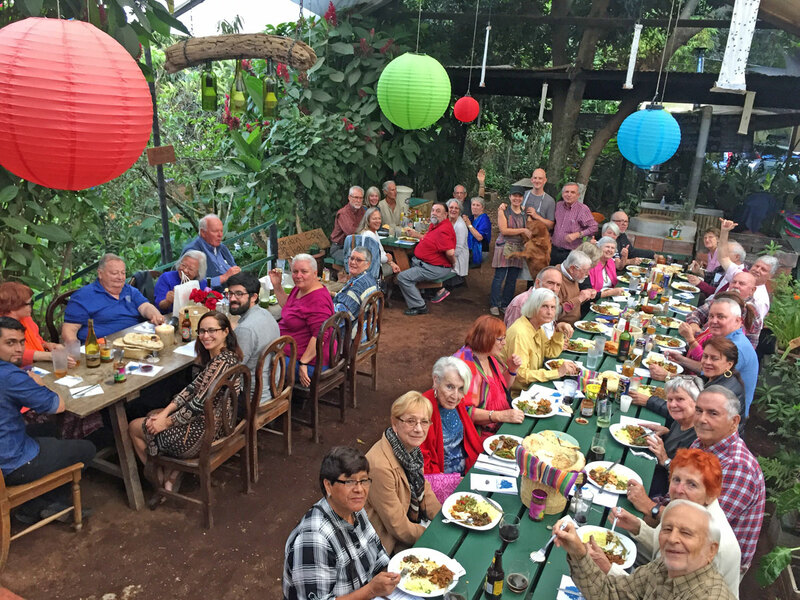 ... Jan 12 The Antigua Curry Club began its 11th year with an "Indian Pot Luck Dinner" at the new home of Judy Sadlier & Gene Budinger SEE MAP! SEE MENU! ... Aug 25 Mulan ... see Menu. 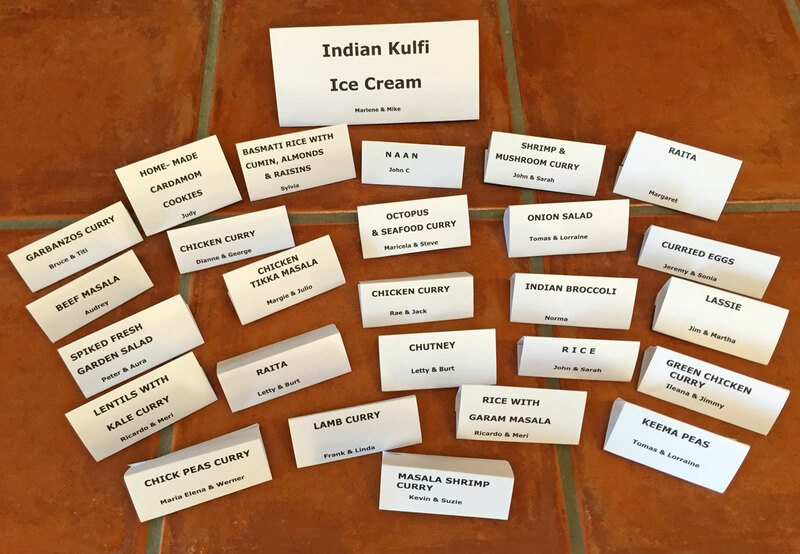 ... Feb 11, Indian "Pot Luck dinner" @ the house of Maria Elena & Werner Seidl, with the largest menu yet. ... Aug 14, trip to the Museo del Prado exhibit in Parque Centenario, "Chicago", the musical, in Teatro LUX, a (non-curry) dinner in Cafe Saul. See details. Nov 9 "Zaffron & Turmeric"
Apr 26 "Zaffron & Turmeric"
Oct 24 Indian "pot luck dinner"
Aug 8 Indian "pot luck dinner"
If, between Curry Club sessions, you have the urge for more Indian food, you are welcome to make repeat visits to Pushkar and ask for Alejandro the owner or Haroldo the chef. Click here for the Pushkar menu, which will open as a PDF document.